Mrs. Prudence Bowman Kestner, died on Monday, April 8, 2019 at Frederick Memorial Hospital. Born December 10, 1928, in Wilkes Barre, Pennsylvania , she was the daughter of the late Law Bowman and Dorothy Helene Davenport Bowman Denbo. She graduated from Stanford University with a B.A. in History. A life-long learner, Prudence wrote poetry, was an artist, and seamstress. She played piano and enjoyed singing in choral groups. Prudence was a homemaker for 18 years and spent a great deal of time traveling with her husband and four children to the Far East, Africa, and Europe before she chose to return to the work place. When she did, she entered the workforce as an administrative assistant to the American Bar Association’s Director of Public Service Activities. Four years later, she began her work in the field of dispute resolution. She devoted a great deal of time to two special groups: children and the elderly. She taught young people that mediation is a positive way to solve human conflict. Her work in this area was recognized when she received the National Council for Children’s Rights (NCCR) “Chief Justice Warren E. Burger Award” as a “healer of human conflict.” She co-wrote a training book on dispute resolution with her friend and colleague, Larry Ray. She began teaching yoga in 1971 and became a trainer of yoga teachers. In 1977, she became the president of the United States branch of the International Yoga Teachers’ Association. She was a founder member and the first president of the Mid-Atlantic Yoga Teacher’s Association (MAYA). She espoused “Yoga is for living well in this world.” She conducted yoga seminars in Maryland, Washington, D.C., North Carolina, and England. One of her most profound experiences was when was honored to meet and hold the hand of the Dalai Lama. Prue was a very spiritual woman studying Sanskrit, Shamanism, and Reiki. In her later years, she devoted time and received great comfort and fulfillment as a member of Middletown United Methodist Church. 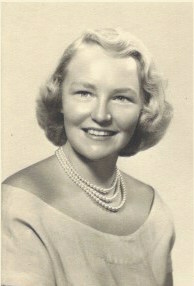 Throughout her life, she enjoyed golf, swimming, bridge, traveling, painting abstracts, and reading historical fiction. In 1981, she became a licensed massage therapist. Surviving are a daughter, AnneMarie Kestner Smith of Frederick; two sons, Mark Kestner and wife Elaine of New Market, and David Kestner and wife Mary of Ashburn, Va.; seven grandchildren and four great grand-children. 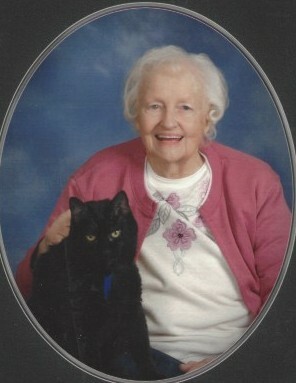 Prudence’s constant companion since the death of her husband is her cat “Q.” Q is being well taken care of by Mark and Elaine Kestner. She was preceded in death by her husband of 49 years, Philip William Kestner, a son, Richard Andrew Kestner, and her brothers, Charles Bowman and Andrew Bowman. The family would like to express their gratitude to Frederick County Hospice for their loving care of Prudence. The family will receive friends at the Stauffer Funeral Home, 1621 Opossumtown Pike, Frederick on Saturday, April 13, 2019 from 2:00 p.m. to 3:00 p.m. with a funeral service beginning at 3:00 p.m. officiated by the Rev. Dr Sarah Dorrance. A reception and additional visitation will follow from 4:00 to 5:30. In lieu of flowers, donations may be made to the Alzheimer’s Association, P.O. Box 96011, Washington, DC 20009-6011 or Hospice of Frederick Co, P.O. Box 1799, Frederick, MD 21702.